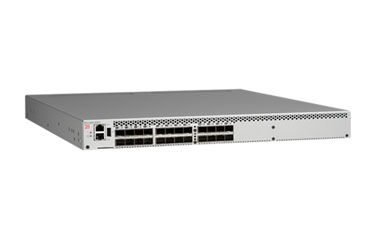 The Brocade 6505 Switch with Gen 5 Fibre Channel provides exceptional price/16 Gbps performance value, combining flexibility, simplicity, and enterprise-class functionality in an entry-level switch. 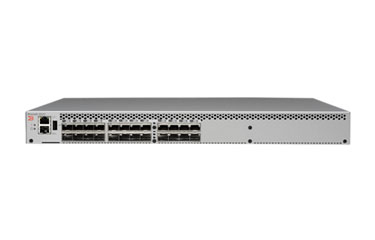 Designed to enable maximum flexibility and reliability, the Brocade 6505 is configurable in 12 or 24 ports and supports 2, 4, 8, or 16 Gbps speeds in an efficiently designed 1U package. It comes standard with a single power supply with integrated fans. 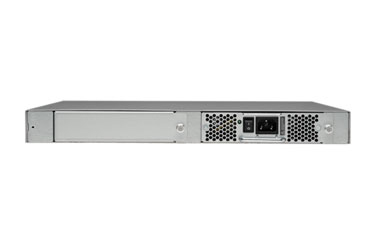 A second, optional power supply provides additional redundancy for increased resiliency. A simplified deployment process and a point-and-click user interface make the Brocade 6505 both powerful and easy to use. 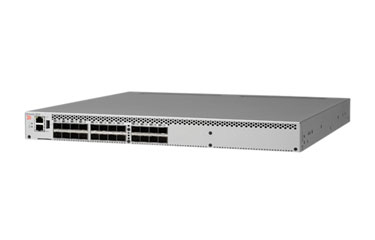 Moreover, the Brocade 6505 offers low-cost access to industry-leading Gen 5 Fibre Channel technology while providing “pay-as-you-grow” scalability to meet the needs of an evolving storage environment.